I am passionate about renewable energy systems like biogas plant, small hydro, wind systems and improved stoves that promote people centred development. 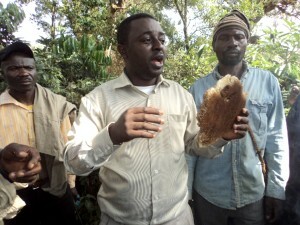 I am also passionate about agroforestry, forest regeneration, campaign against biofuel crop plantation development in Congo Basin and climate change. I have been practicing for 12 years with achievements in climate change, community development, sustainable energy, forestry and environmental education. While at Buea University, I joined the national newspaper, The Post, as columnist to produce environmental articles. 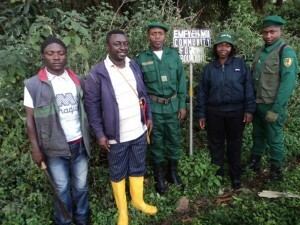 After university, I joined the Cameroon Wildlife Aid Fund (CWAF) to take care of primates in the Mvog Betsi Zoological and Botanical Garden in Yaoundé, Cameroon and worked to fight poaching and deforestation. 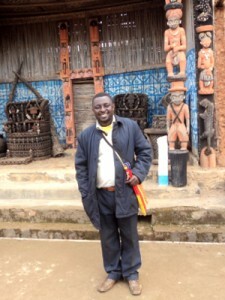 I joined Global Village Cameroon (GVC) as Energy and Climate Change Campaigner for six years. 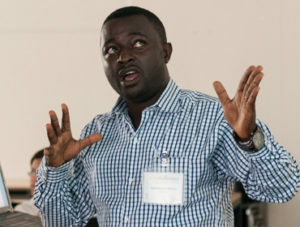 While at GVC, I carried out campaigns using advocacy, lobbying and sensitization to shape the development of dams, thermal and gas plants, making sure that displaced people are compensated and resettled, and also that the government considers options of investing in decentralized and renewable energy systems like solar, wind, biogas and micro-hydro systems. Our team worked closely with other civil society organizations to shape multilateral development banks like World Bank policies on energy. 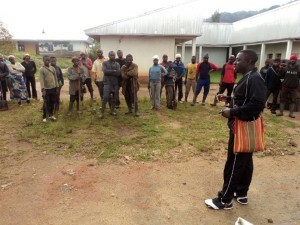 We worked on the following dams: Lom Pangar, Memvele and Nachtigal in Cameroon, partnering with with international partners including International Rivers, Friends of the Earth, Africa Rivers Network, Bank Information Center, NAPE-Uganda and others. The Lom Pangar dam was the most sensitive campaign I was involved in as the project threatened to flood a portion of the Deng Deng Forest which is home to gorillas and chimpanzees also threatened by villagers poaching them and selling them to traders. I worked with communities, schools and local leaders in the Deng Deng Forest to reverse this situation with funds from the Rufford Small Grant. In 2006, funded by the New England Biolabs Foundation, I used the media and press for environmental education to fight bushfires, poaching, deforestation, over grazing, unsustainable non timber product harvesting and many other issues threatening tropical forest. Two years to the end of his time in GVC, I worked on forest governance to see how forest communities could get forest royalties from their forest resources exploited by timber companies to improve livelihoods. This was an additional task to my position. I also did some work on End Oil Aid, a campaign aimed at ending fossil fuel subsidies in order to encourage the development of renewable energy. My last year in GVC after attending an Environmental Leadership Certificate course at the University of California, Berkeley, was spent on a biofuel campaign in Cameroon to make sure many incoming biofuel investors do not convert food crop lands to biofuel plantations, that food crops are not converted to biofuel and that the tropical forest in the Congo Basin is not cut for biofuel plantations. I also worked in Strategic Humanitarian Services (SHUMAS) during a Masters Degree internship for 3 months on integrated organic farming and renewable systems. 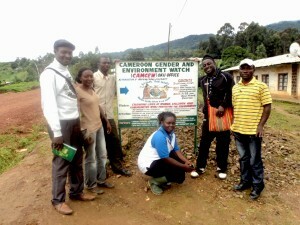 I created an initiative called Cameroon Gender and Environment Watch (CAMGEW), where I presently work. 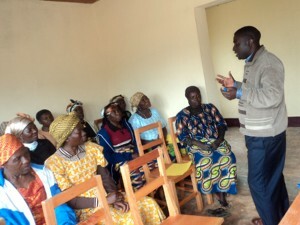 Agroforestry training for peasant women. 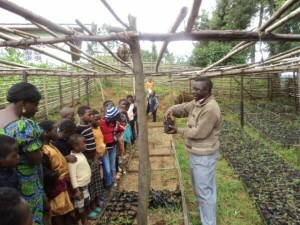 Tree germination taught to children in nursery. 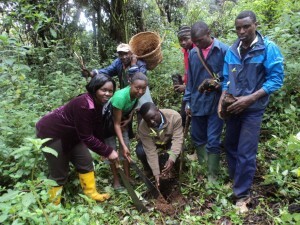 Leading youths to launch the planting of 7000 native forest trees in Oku Forest. 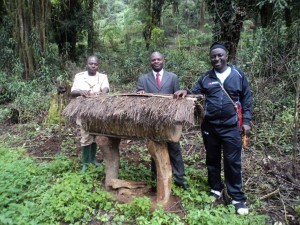 The Minister of Forestry and Wildlife send a delegation to visit our tree planting activity in Oku Forest. Conducting a bee farming lecture with bee comb to trainees. 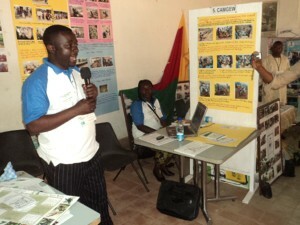 Participating through sharing during the African Climate Change Development Market Place Competition in Cameroon. 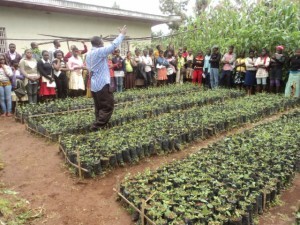 Organizing community members to do tree planting. 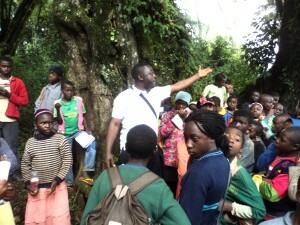 Environmental education with children in the Oku Community forest. 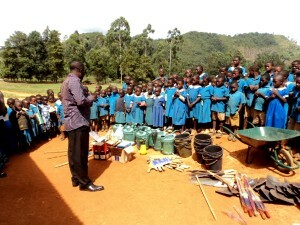 Farm and handiwork tools and materials handed to Government School Simonkoh-Oku Cameroon. 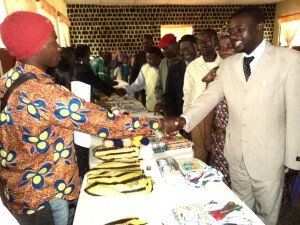 Handing of handiwork materials to 21 schools in Oku-Cameroon . 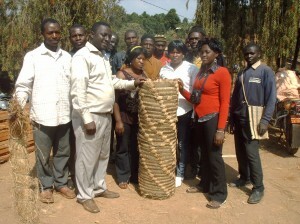 Trained group on bee farming with completed bee hive. Nature education in CAMGEW nursery. 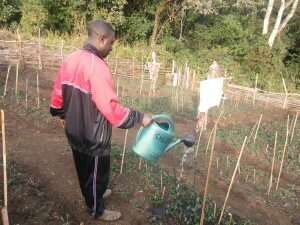 Watering research plot of vegetable with biogas fertilizer application.